Angel Whining: Ellie can hold her own milk bottle! Ellie can hold her own milk bottle! She is 102 days old and she can already hold her own milk bottle! That show how much she loves her milk. 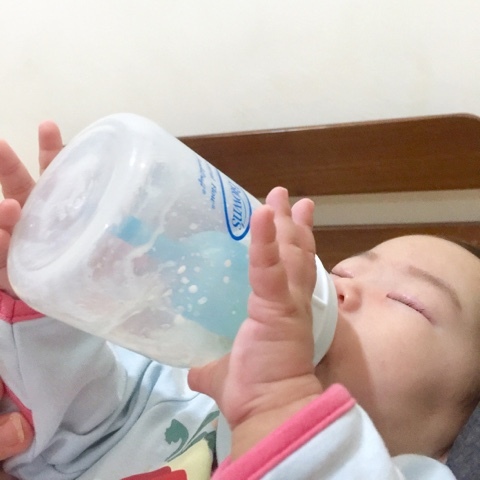 She's enjoying it even more this days when her paediatrician recommended us to change the ratio of Nutramigen (lactose free milk) and Frisolac Comfort (acid reflux milk). Grow well, baby girl! Mummy loves you.